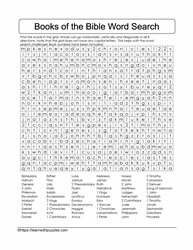 There are 66 books of the bible. 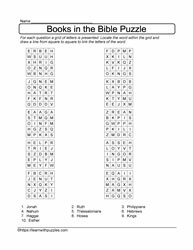 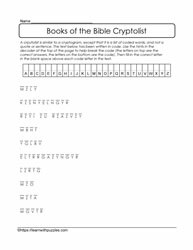 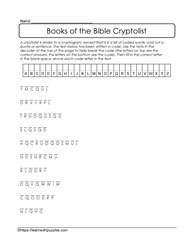 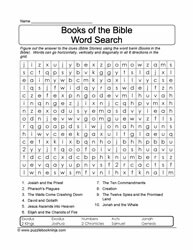 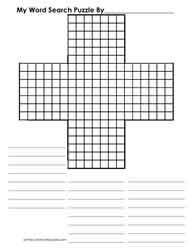 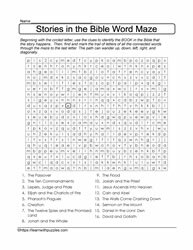 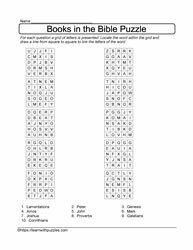 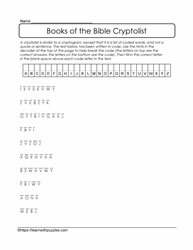 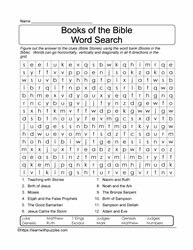 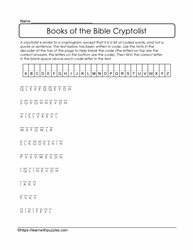 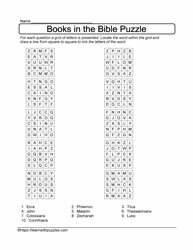 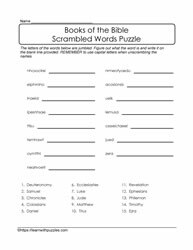 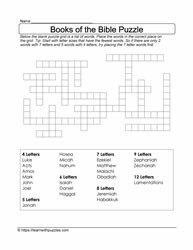 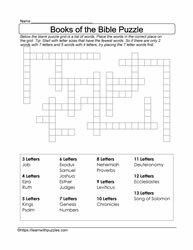 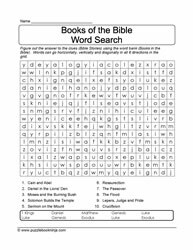 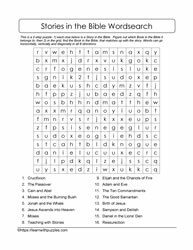 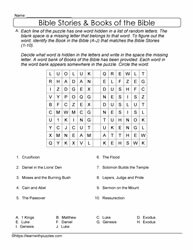 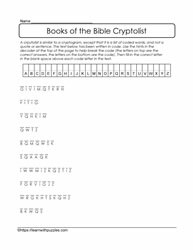 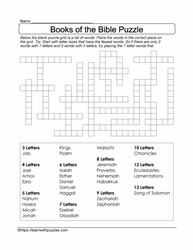 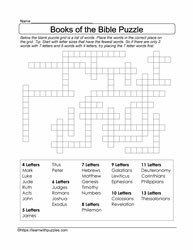 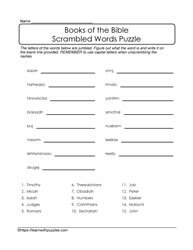 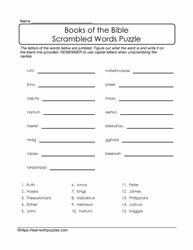 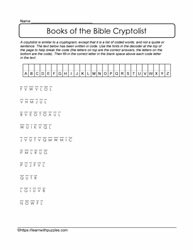 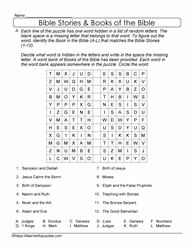 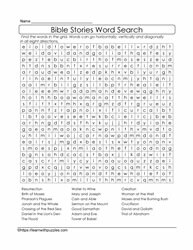 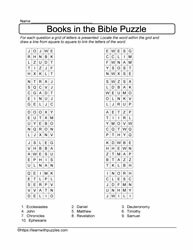 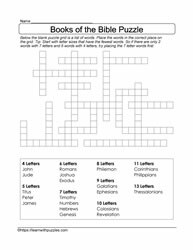 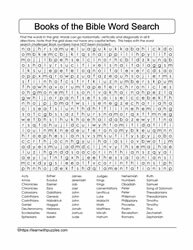 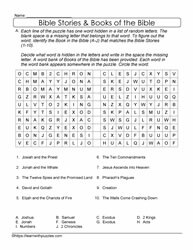 Puzzles include worksearches, cryptolists, word maze and multiple choice puzzles. 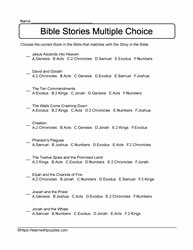 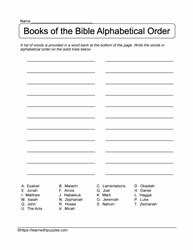 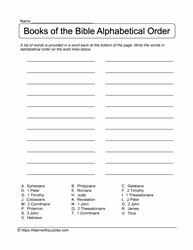 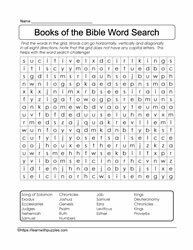 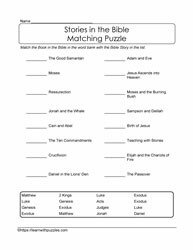 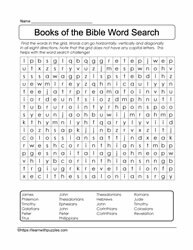 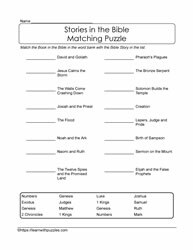 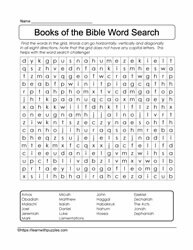 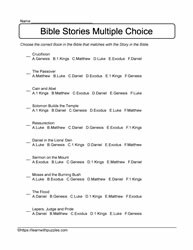 Suitable for all ages, these books of bible category is a great addition to supplement children's current curriculum and learning about the bible books. 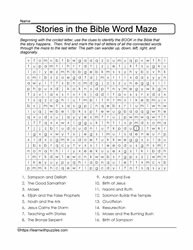 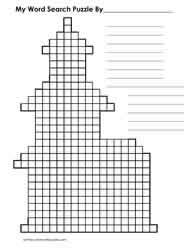 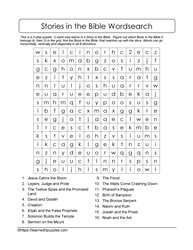 Puzzles are downloadable and printable. 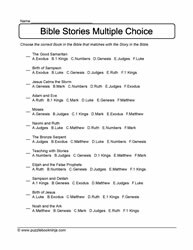 See also Bible Stories.